Meet Finnish students and families, learn survival skills, try our favourite sports, build an igloo, hear from specialists in their field... you name it, we will help you plan it. Expert knowledge combined with hands-on learning, play and teamwork to inspire curiosity and encourage exploration of the world. It’s time to experience Finland’s world-renowned approach to education focused on maximising the potential of every student. Each group is different. We work closely with you to tailor the programme to your needs and make adjustments along the way to ensure a great experience. A single-point contact for all planning and coordination before, during and after camp. Say hi on a pre-departure video chat with students, teachers and parents. 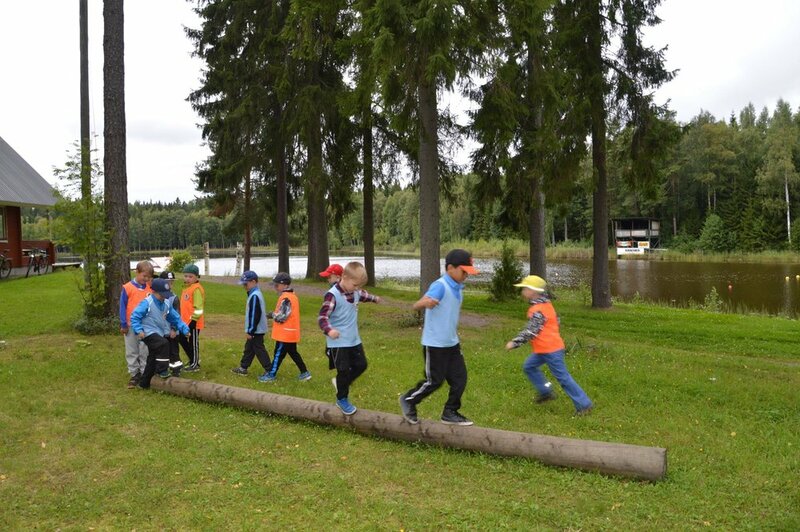 Adventure Apes Lodge, home base for camps, is a renovated village school that was part of the Finnish public school system for more than 30 years. Detailed safety plans and risk assessments shared in advance. Programme designed to be inclusive for all regardless of learning or physical disabilities. Meet Finnish students and families. Eat jam, potatoes, milk, eggs, meats, fish from local farmers. Recognized by Visit Finland as a sustainable tour operator. See our sustainability pledge. We believe learning should be an adventure. That’s why we work with teachers and camp organisers to design the right program using a choose-your-own-adventure model. 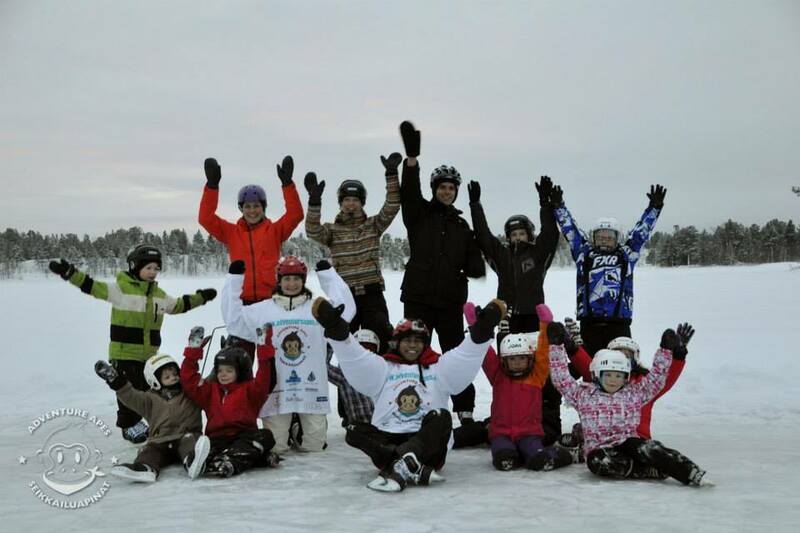 Try Finland's favorite winter sports, experience life during the polar night and learn Arctic survival skills. Experience the midnight sun, explore nearby forests and lakes, forage for berries and mushrooms and learn orienteering skills. 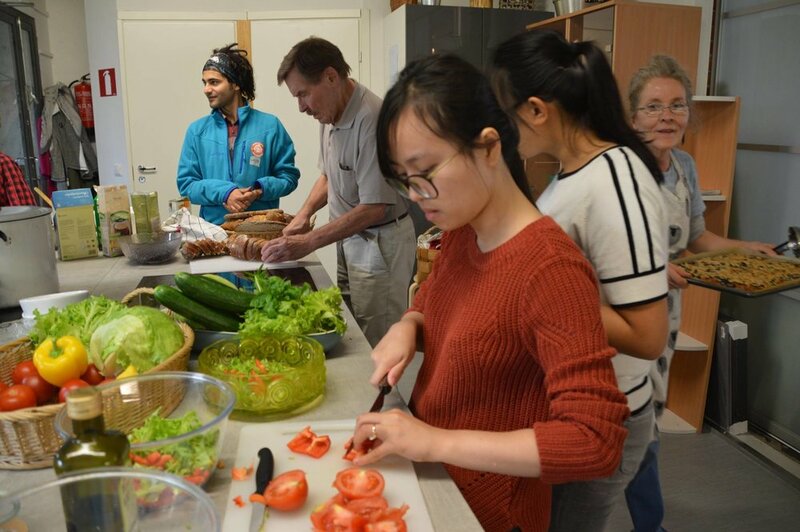 Learn about traditional and modern Finnish culture by spending time with local students and families, experiencing day-to-day life and speaking basic Finnish. Explore sustainable ways of living, learn how global warming is impacting the Finnish Arctic and study local flora and fauna. We will provide alternative adventures and activities based on the theme you've selected as well as the group size, age, interests and the season. We’ll work together to mix and match adventures and activities the make the perfect tailor-made programme for your group. Reflection: What have we learned? Adventure Apes Lodge is located in the countryside of Kuusamo. Once a public primary school for the village, the guesthouse has been newly renovated to provide clean and cosy, standard-level accommodations. The dorm-style rooms have bunk beds with a maximum occupancy of six people per room. Bedlinen and towels are included. The Lodge can accommodate groups of 24 people total (including teachers/parents accompanying the group). Let’s plan your school camp of a lifetime! Interested in learning more? Contact us at heidi@adventureapes.fi or complete the form below and we will get back to you soon! Thank you for your interest in our school camps. We will get back to you as soon as we return from our next adventure.